· Preparation of planning and NEPA documents. DMA is highly experienced in all aspects of Corps flood damage reduction project development, and has commanding skills in the application of Corps formulation and analysis methods. The Federal interest in providing flood damage reduction was first established in the Flood Control Act of 1936. The Act provided that the Federal government, in cooperation with the states and local units of government, may improve streams “if the benefits to whomsoever they accrue are in excess of the estimated costs, and if the lives and social security of people are otherwise adversely affected.” More recently, the Water Resources Development Act of 1986 specified and modified the degree of federal participation, setting new rules for federal cost sharing. Over the nearly sixty years since passage of the 1936 Flood Control Act, the Corps of Engineers has developed a set of highly detailed and specialized procedures for the planning, formulation and analysis of flood control projects. 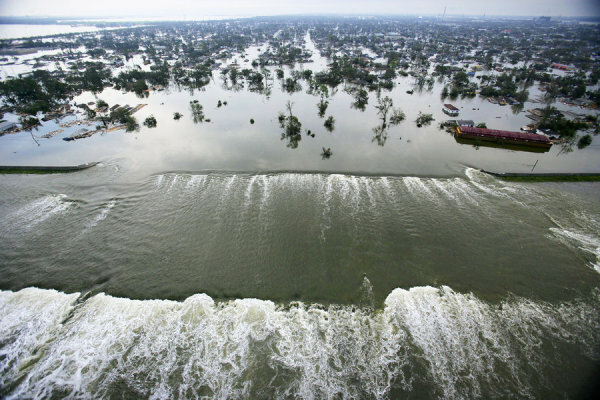 DMA re-drafted the Mississippi Comprehensive Plan and Programmatic EIS to restore coastal Mississippi following the devastating hurricanes of 2005. DMA was contracted to participate in the Project Development Team, taking the technical input developed by Mobile District and rewriting the main report and EIS to comply with Corps Headquarters comments. The Mobile District resubmitted the Comprehensive Plan rewritten by DMA and received a positive review from HQUSACE and the Civil Works Review Board. DMA also prepared the final report for HQUSACE approval and peer review. DMA assisted the New Orleans District in its efforts to construct a Category-5 Hurricane Storm Damage Reduction project in the West Bank and Vicinity area of suburban New Orleans. DMA’s NEPA documentation responsibilities for each of the three areas (under three delivery orders) were to: develop maps renderings, and schematics; participate in monthly public meetings; develop existing conditions and identify significant resources; develop environmentally preferred alternatives; identify and quantify significant impacts; analyze cumulative impacts draft 404(b)(1) permit applications; evaluate and document draft water quality certifications; identify threatened and endangered species or critical habitat; and draft and publish NEPA reports. DMA assisted the New Orleans District in its evaluation of the impacts that result from transporting construction material for the 100-year level hurricane damage reduction system. Over one hundred million cubic yards of borrow material, several hundred thousand cubic yards of concrete, and several hundred thousand tons of steel were to be used in construction of the projects. The analysis extracted, consolidated, and converted materials quantity data to analyze materials delivery to project sites, and aggregated all 104 individual projects into a single project. DMA’s first step in the comprehensive analysis was to collect quantities information for over 90 separate sub-projects that comprise the entire project. Projects which required large amounts of borrow material (e.g., over 500,000 cubic yards) were matched up with borrow areas from within the District. These data were then matched to the overall quantities database to ensure that borrow material was routed from the appropriate borrow area to the appropriate project site. The data also were evaluated in a geographic information system (GIS) model so that the traffic information could be shown in a visual context. Routing was conducted using GIS, and the model shows traffic growing and contracting on the New Orleans roadway network throughout the duration of the overall project. DMA performed a study to assess measures for flood and coastal protection for the residents of Grand Isle, Louisiana, and to protect salt marsh wetland habitat on the northern portion of the island. The study focused on determining whether there is a feasible plan to build breakwaters on the bayside of Grand Isle. The breakwaters would provide protection to the residents and wetlands on this side of the island. The project-specific objectives of the study wee to assess measures to: reduce flood damages to existing development, and to reduce further shoreline erosion along the north shore of Grand Isle where the salt marsh provides valuable environmental habitat and offers protection to nearby structures. DMA supported the Baltimore District by drafting the feasibility study, conducting plan formulation, benefit cost analyses, environmental reports, NEPA documentation, flood damage reduction and recreation analysis for a flood damage reduction project located in Bloomsburg, Pennsylvania. DMA completed an economic and topographic survey of floodplain properties, modeled potential flood damages using HEC-FDA and estimated average annual damages for future without and with project conditions. DMA conducted an interior drainage economic analysis, analyzed economic impacts, performed an NED analysis of project alternatives and conducted a risk and uncertainty analysis of project benefits. DMA also conducted environmental investigations necessary for the production of an Environmental Impact Statement for the proposed flood damage reduction plan. DMA drafted the project decision document as an Integrated Feasibility Report and EIS. DMA conducted economic analyses and plan formulation activities required to produce the General Reevaluation Report for this flood damage reduction project. DMA’s initial task was to update the Project Management Plan (PMP) for the project to reflect changes in conditions and study requirements since preparation of the Initial PMP. DMA’s next task was to conduct flood damage economic analyses for the project, including development of the flood damage inventory, conducting flood damage surveys, developing the flood damage model within HEC-FDA, computing without and with project expected annual flood damages, computing benefits for a variety of flood damage reduction alternatives, and preparation of the Economics Appendix. DMA also performed the plan formulation tasks for the study, including identification of problems, opportunities, planning objectives and constraints, development of without project conditions, formulation and evaluation of alternatives, and identification of the NED plan. Finally, DMA prepared the General Reevaluation Report, with input from the New York District. DMA conducted a baseline, without-project, economic conditions analysis of the study area including the Pacific Ocean coastline in the City of Encinitas and the City of Solana Beach. DMA completed a structure inventory and storm event damage analysis of all residential and non-residential structures in the study area. DMA then analyzed existing conditions and evaluated preliminary alternatives for the reduction of damages to shorefront development and coastal resources from shoreline erosion, bluff erosion, coastal storms and tidal flooding. DMA evaluated preliminary alternatives based on the planning objectives and constraints; and prepared the Economics Appendix for the feasibility report. DMA performed a flood damage analysis for a proposed levee project and conducted a residual ponding analysis and incremental benefits analysis of interior drainage facilities. DMA calculated existing and improved conditions damages for over 500 residential structures and 100 commercial structures in the Scranton floodplain neighborhoods of Plot and Green Ridge. DMA completed a structure inventory and flood damage analysis of all residential and non-residential structures in the Plot and Green Ridge floodplains. DMA estimated the current value of all structures in the floodplains, created the structure inventory database, and incorporated H&H data into the flood damage model (HEC-FDA) used to estimate with and without-project flood damages. In addition, DMA assisted the Corps and the non-Federal sponsor in developing financing alternatives for the non-Federal share of project implementation costs. DMA conducted an interior drainage economic analysis for the Marlinton Locally Preferred Plan. Activities included: identification of structures within interior drainage ponding areas; development of ponding area depth-damage relationships; computation of average annual damages for existing and improved conditions for 3 levels of interior drainage facilities; and preparation of a technical memorandum documenting the results of the analysis. DMA also performed the following activities associated with preparation of the EIS: development of the EIS schedule; development of a methodology memorandum for technical investigations required to complete the EIS; public and agency scoping; development of environmental baseline conditions, preparation of the NOI; preliminary recreation benefit analysis; and development of the methodology to be used to quantify and evaluate the cost effectiveness of mitigation proposals. DMA prepared a Draft and Final Limited Reevaluation Report based on technical input provided by the New York District. Activities performed by DMA included: data review and preparation of a technical memorandum documenting data sufficiency and data gaps; project team meetings and site visits; review, evaluation, and supplementation of project plan formulation; preparation of the draft LRR; and preparation of the final LRR. DMA conducted a flood damage analysis for the communities of Phillippi and Bellington, WV. DMA activities included: field verification of the floodplain inventory, calculation of depth-damage relationships for residential and non-residential structures, development of depreciated replacement values for structures, computation of average annual damages under without and with-project conditions using HEC-FDA, and development of a risk and uncertainty analysis. In addition, DMA prepared an Environmental Assessment for this special legislation flood damage reduction project. DMA performed the following activities associated with preparation of the EA: internal scoping and agency coordination; review of existing data and characterization of the existing environment; draft and final EA preparation; and EA publication and public meetings. DMA prepared initial appraisal reports for continuing authorities flood control projects in the three communities. Activities performed by DMA include: problem identification; field investigations (including surveying, collection of hydrologic, hydraulic, economic and environmental data), defining without project conditions, formulating alternatives, alternative evaluation, and preparing of the Initial Appraisal Reports. DMA prepared social and institutional analyses in support of the feasibility level investigation of solutions to the flooding problems at Devils Lake, ND. Activities performed by DMA included: inventory and forecast of socio-economic data; estimation of alternative impacts on the human environment, and analysis of the political and institutional mechanisms necessary for project implementation. In addition, as part of the preparation of the project EIS, DMA staff assisted in the evaluation of the potential for biota transfer from Devils Lake to the Sheyenne River that could result from several flood control outlet alternatives that are being considered in the study. DMA reviewed the costs used in establishing indirect cost rates for a sample of five construction contractors providing services under the Section 202 program. Review objectives were to evaluate and determine: 1) the allowability, allocability and reasonableness of the costs charged to floodproofing contracts; 2) the propriety of the methods used to allocate indirect costs to floodproofing contracts; 3) the correctness of the bases used to apportion indirect costs; 4) the appropriateness of the indirect costs period; 5) the consistency of the application of policies and procedures to operations; and 6) the mathematical accuracy of the computed final indirect cost rates. DMA conducted economic, environmental, and HTRW investigations in support of the Section 107 Feasibility Study. DMA activities included: storm damage inventories; calculation of without and with project condition storm damages; and computation of project benefits, costs, BCRs and net benefits. In addition, DMA prepared the Environmental Assessment for the project, including: preparation of the environmental baseline condition, impact assessment, and preparation of the EA. DMA also conducted a Phase I HTRW investigation for the project. DMA conducted economic analyses in support of the feasibility phase investigation at Huntington Beach. DMA activities included conducting a baseline and future without-project conditions economic analysis of the Huntington Beach Bluff Top study area. 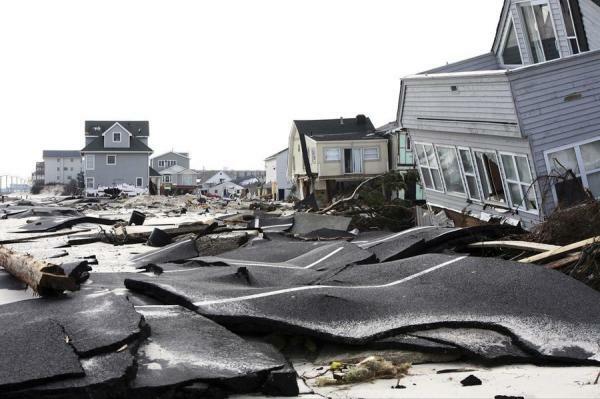 The analysis included historic data collection; study area inventory, a survey of recreational users, and analysis of average annual storm damages and recreational losses under without-project conditions. DMA also prepared the Economic Appendix to the Feasibility Report. DMA prepared a Flood Warning and Emergency Evacuation Plan for the Williamsburg Section 202 structural and non-structural flood damage protection project. Activities included: preparation of the FWEEP report; emergency evacuation maps; neighborhood evacuation booklets; agency responsibilities / time and events flow chart; and coordination with local and state officials. DMA prepared the environmental assessment for the Section 205 study. DMA performed the following activities associated with preparation of the EA: internal scoping and agency coordination; review of existing data and characterization of the existing environment; impact assessment; draft and final EA preparation; EA/FONSI publication; and public meetings. DMA prepared a feasibility report and Project Management Plan (PMP) for the Pre-construction Engineering and Design (PE&D) phase. DMA’s activities included: preparation of the PMP; preparation of the Alternative Formulation Briefing (AFB) Technical Memorandum; preparation of the draft and final feasibility reports; and independent technical review of project economics prepared by the New York District. DMA prepared a Section 205 Detailed Project Report for a debris reduction project based on technical investigations previously conducted by the District. DMA activities included: data review and preparation of a technical memorandum documenting data sufficiency and data gaps; review, evaluation, and supplementation of project plan formulation; preparation of the draft DPR; and preparation of the final DPR. DMA conducted a benefit cost analysis, participated in plan formulation activities, and prepared the Draft and Final Detailed Project Reports for the Poplar Brook Flood Control Reconnaissance Study in Monmouth County, New Jersey. Tasks included: performing flood damage surveys, estimating average annual damages, participating in the development of alternative plans of improvement, estimating future improved condition damages and benefits, calculating average annual costs and benefits, and assisting in the preparation of the reconnaissance report and IPMP. DMA also performed the plan formulation and economic analyses for the feasibility study, and prepared the draft and final Detailed Project Reports for the New York District. DMA assisted the Huntington District in the initial planning activities for the West Virginia Statewide Flood Protection Plan. The purpose of the Plan is to assist the State of West Virginia in developing a comprehensive program for identification, evaluation, prioritization, and implementation of flood control projects and programs throughout the state. DMA assisted the Huntington District in developing a project study plan for this effort. Tasks performed by DMA included facilitating workshops between the Corps of Engineers (Huntington, Pittsburgh and Baltimore Districts), the WV Soil Conservation Agency, and the Natural Resource Conservation Service; and developing the draft and final project study plans. DMA prepared separate PSPs for the City of Savannah and for Chatham County, including: preparation of feasibility phase task descriptions, feasibility study cost estimates, and project schedules; preparation of the feasibility phase Quality Control Plans, and preparation of the draft and final Project Study Plans. DMA conducted a reconnaissance study to evaluate potential solutions for reducing flood damages within Mercer County, West Virginia. Substantial commercial, public and residential development have caused hydrologic changes and have contributed to increased runoff and flooding in the county, making the existing flood control projects less effective in reducing flood damages. DMA identified on-going and historical water resources planning efforts, characterized the water resource problems within the study area, and defined and evaluated potential structural and nonstructural alternatives designed to meet specific flood damage reduction objectives. Management plan alternatives were formulated following field reconnaissance, and a Project Study Plan was prepared. DMA screened the alternatives and evaluated the benefits, costs and environmental impacts of each plan. DMA organized and facilitated meetings of Federal and non-Federal interest groups to assess interest and support for continued studies. Finally, DMA estimated the time and cost to conduct an in-depth feasibility study for the project. DMA’s investigations for this project included: review of existing data and reports, field reconnaissance, flood damage surveys and development of the stage-damage database, integration of existing hydrologic and hydraulic data, computation of preliminary average annual damages, preparation of the Project Study Plan for the feasibility phase, and assistance to the District in coordinating with the potential non-Federal sponsor. DMA developed a comprehensive River Corridor Management Plan for nonstructural flood damage reduction in the Greenbrier River Basin. Individual management measures, including a Flood Warning and Emergency Evacuation Plan (FWEEP), floodplain evacuation, and land use management practices, were formulated to serve the goals of flood damage reduction, environmental restoration and enhancement, and recreational reuse of vacated lands. Combinations of management measures were identified as various plan alternatives. The costs and benefits, including non-monetary measures of environmental outputs, were quantified. The results of the benefit-cost analysis and incremental cost analyses were used as a basis for developing plan recommendations. DMA also participated in a public workshop to provide guidance for local officials and develop local support for the selected plan. As a result of severe flooding in the Greenbrier River Valley in 1996, the flood frequency analysis was revised by the Huntington District. DMA conducted an economic reanalysis to accompany the revisions to the flood frequencies. DMA conducted a re-evaluation of residential and non-residential flood damages under existing conditions and computed flood damage reduction benefits for two structural alternatives. DMA’s analysis of damages included four major elements: river profile development, damage model redevelopment, data quality review, and computation of existing and improved condition damages and benefits. As a result of the re-analysis, DMA identified over $2 million in additional benefits, increasing the benefit-cost ratio of the NED plan from 1.04 to 1.5. DMA also conducted economic studies to further refine flood control benefit analyses for five communities. DMA first reviewed new methodologies for calculating benefits of non-structural projects, formulated and implemented a survey to determine an appropriate content-to-structure value ratio, verify structure damages, determine the appropriate discount for floodplain property values and develop project-specific depth-damage curves. DMA then revised existing and improved condition damages, and flood reduction benefits for each structural and nonstructural alternative. DMA identified methodologies to evaluate the outputs of combined flood control / environmental restoration projects for a comprehensive river basin planning study in the Juniata River Basin in south central Pennsylvania. DMA evaluated methodologies in terms of their reliability and validity, potential applicability to the Juniata project, practical and methodological limitations, data requirements, and likelihood of acceptance within the Corps. Specific methodologies discussed in the report included: alternative benefit evaluation techniques such as hedonic price modeling, the travel cost method, the contingent valuation method and net incremental opportunity costs; additional categories of benefits such as option and existence values; and refinements to traditional flood damage evaluation procedures such as nonstructural flood damage reduction benefits, structure and content value relationships, depth-damage functions, and emergency & disaster recovery costs. DMA facilitated a workshop of District, Headquarters, and Laboratory personnel, academicians, researchers, and consultants to discuss and select methodologies for further study. DMA quantified the externalized flood damage benefits claimable as National Economic Development benefits for permanent evacuation of the 10-, 25-, 50-, and 100-year floodplains. These included externalized costs (i.e., flood damage costs not incurred by the homeowner), such as flood insurance subsidies and emergency and relief efforts. DMA contacted Federal, state and local agencies to determine the Federal Flood Insurance Program administrative costs that would be avoided through a buyout program. In addition, DMA staff summarized historical damages and estimated future with and without project damages as well as estimated flood insurance subsidy benefits for each buyout alternative. DMA prepared a reuse plan for vacated floodplain lands, estimating the costs and benefits of various reuse scenarios. DMA assessed demographic characteristics and analyzed the regional economic and social impacts of the floodplain buyout alternatives. For 117 municipalities, DMA staff assessed relocation effects such as redistribution of wealth, employment transfers, and other social impacts, as well as the financial feasibility of buyout scenarios. In a market value analysis, DMA staff conducted statistical tests to compare estimated property values to historical sales transaction data. At the conclusion of the project, DMA quantified and summarized the acquisition costs, the expected property tax losses, and payments in lieu of taxes by municipality for each floodplain buyout alternative. DMA evaluated the regional economic development benefits resulting from construction of the Pompton-Passaic Diversion Tunnel. Using an input-output model, short-term impacts from project construction and from increased taxes to finance the project were calculated. The model identified direct, indirect and induced impacts for the State of New Jersey and the 12-county project area. Impacts included changes in employment, wages, value-added output, and state, local and Federal tax receipts. Long-term impacts were quantified using a combination of the input-output model and real estate market analysis. The model was used to quantify the economic impacts of construction expenditures and income re-distribution resulting from reduction in flood damages. These findings were used by Federal, state, and local officials in their decision to financially participate in the project. DMA conducted a site utilization analysis of the impact of the channel modification project on the operations of Bell Concrete Company. The purpose of the analysis was to determine whether the concrete company could continue plant operations on the site following acquisition of the permanent and temporary easements proposed for the project. Minimum land requirements for operations were determined, regulatory and permitting requirements were reviewed, and cost estimates for relocation and site reutilization were prepared. DMA prepared a Draft Environmental Assessment and concept level designs and costs for measures to minimize potential environmental impacts associated with alternatives developed by the Nashville District to stabilize the streambanks of North Chickamauga Creek in the vicinity of the Dayton-Pike Bridge, Soddy Daisy, TN. DMA conducted a regional economic impact analysis and social impact analysis for portions of the Bluestone Lake Dam Modification Environmental Impact Statement (EIS). DMA quantified short-term direct, indirect, and induced economic impacts from project construction and estimated increased tax revenue using an input-output model. These impacts will take place in select counties of West Virginia and Virginia, and will include changes in employment, wages, value added output, and state, local, and Federal tax receipts. As part of its work on the EIS, DMA also developed preliminary mitigation plan cost estimates and conducting an incremental cost analysis to identify the most cost-effective mitigation plan. DMA prepared a financing plan outlining the funding requirements of the project and conducted an analysis of the non-Federal sponsor’s plan for paying their share of project costs. DMA performed the economic analysis for three expedited reconnaissance studies in eastern Kentucky. DMA updated 1990 structure inventories and used inventory data as a basis for calculating expected flood damages under various with and without project conditions in the towns of Falmouth, Butler, and Cynthiana, Kentucky. With- and without-project expected annual flood damages were estimated in a risk-based framework using the HEC-FDA model. Structure inventory databases were modified to include average values for damageable automobiles (based on available survey and census data) and were formatted as model input. Expected annual damages were generated for the residential and non-residential structure categories as well as for the automobile category. DMA prepared a financing plan for McDowell County’s participation in a Section 202 flood damage reduction project. Given McDowell County’s cost sharing requirements (over $5 million), the County’s low level of economic activity and the residents’ relatively low per-capita income, DMA conducted an extensive investigation of potential financing alternatives and developed a database of funding sources for use in future cost-sharing analyses. DMA also prepared an action plan for flood mitigation planning in McDowell County. Activities included: collection and review of existing data; coordination with the County’s Flood Mitigation Planning Committee; public involvement; preparation of a floodplain inventory and GIS layer; evaluation of the County’s compliance with the NFIP; and preparation of a floodplain mitigation plan. DMA prepared a financing plan and a statement of the sponsor’s financing capability for Wayne County’s participation in a Section 202 flood damage reduction project. DMA investigated various financing alternatives, which include available grants and loans, revenue and obligation bonds, Community Improvement Assessment Districts, and other revenue enhancements. DMA prepared a financing plan for participation for the Section 202 flood damage reduction project. The plan focused on funding requirements and a cash flow analysis of a redevelopment project to provide retail and office space for businesses relocated by the levee project. DMA prepared a financing plan that outlined the funding requirements for the project as part of the Limited Reevaluation Report (LRR). DMA presented options for financing the project based on the Sponsor’s needs and capabilities, including: available grants and loans, bond sales, establishment of special assessment districts, and other methods of increasing revenues and financing the project. DMA developed an estimate of the potential flood damage reduction benefits for the proposed project. DMA’s work included field surveys, development of a depth-damage database, computation of existing and improved conditions average annual damages, computation of average annual costs, benefits, benefit-cost ratios, and net benefits. DMA performed an expedited reconnaissance study to investigate and appraise the Federal interest in flood damage reduction and other related water resource problems and needs in Greenup, Kentucky. Both structural and non-structural alternatives to abate economic losses due to flooding were developed by DMA at a conceptual level. DMA prepared the draft 905(b) Preliminary Analysis report documenting the results of the investigations. DMA performed an expedited reconnaissance study to investigate and appraise the Federal interest in flood damage reduction and other related water resource problems and needs in Russell, Kentucky. Both structural and non-structural alternatives to abate economic losses due to flooding were developed by DMA at a conceptual level. DMA prepared the draft 905(b) Preliminary Analysis report documenting the results of the investigations.